Sometimes a photo needs a splash of color, doesn’t it? I think so, too. 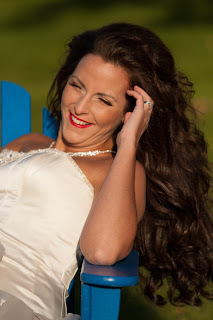 While Annette and I were shooting Elizabeth in her wedding gown at a local college, we came across a couple of bright blue Adirondack Chairs. So Annette immediately places Elizabeth in the chair and starts posing her. I have my long lens (70-200mm) on my camera and just stand back and get some great images. See what you think! I guess that means I have to give credit where credit is due. Thanks, Annette, for putting Elizabeth in the chair and directing her poses! I have to say that the real Elizabeth is in the last photo. She is a super sweet, down-to-earth girl without pretension! 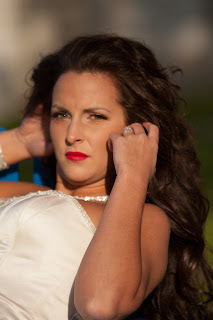 If she looks different than this in the pictures, it’s just her “modeling” face!